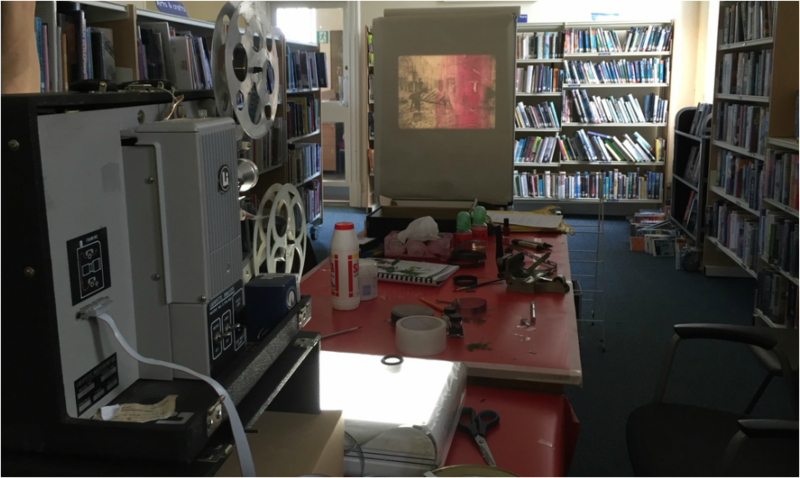 ​Cinestar artist film group was invited to provide workshops at the Loop the Loop events in Redruth and St Ives libraries, with Jacqui Knight offering six days of drop-in workshops on drawing and writing on film, across the two venues (March 2015 and June 2014). Joanna Mayes of Cinestar is also Creative Director of the Loop the Loop series, in collaboration with Cornwall Libraries, creating a platform for experimental artwork. Joanna shared her hand processed artist film in the four Loop the Loop library venues, eco- processing in the library foyers, using caffenol and tinting with rose madder natural dye and using the library cleaning cupboards as a temporary darkroom. Please see the Loop the Loop project website for further details. Loop the Loop - Cameraless Film from Cinestar film on Vimeo.